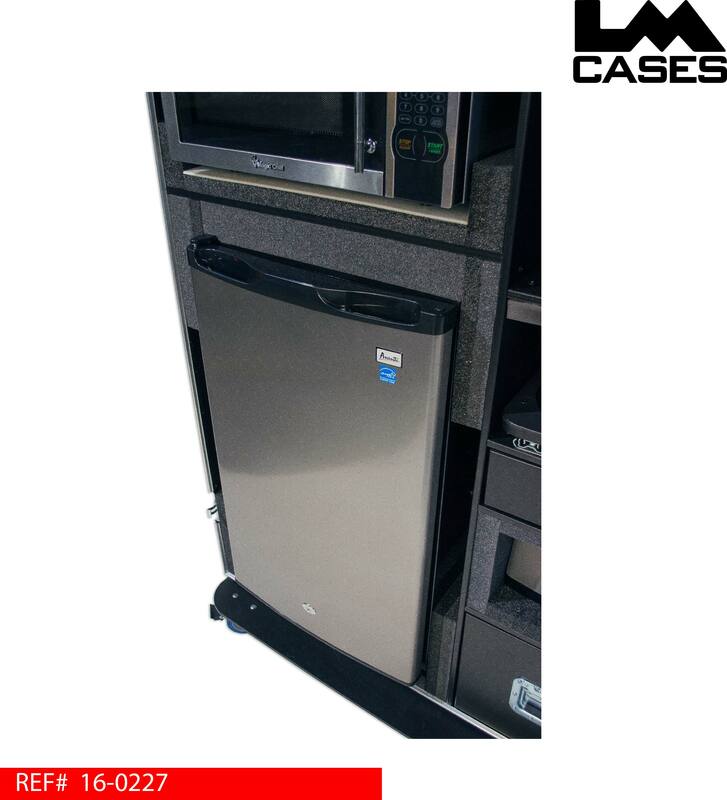 This case was built for the US Equestrian team for use as a amenities storage cabinet for use when on road trips. The case is designed to hold a microwave, refrigerator, Keurig beverage maker, electric grill, Bose Sound Dock and 10 outlet USB charging hub. 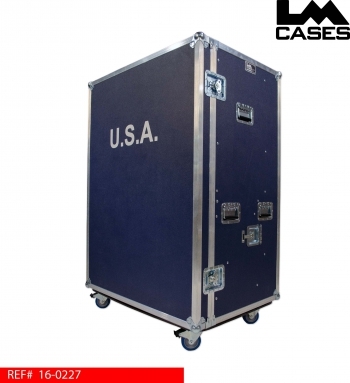 The case exterior is built from composite panels for lighter weight and zero organic content for international shipment. 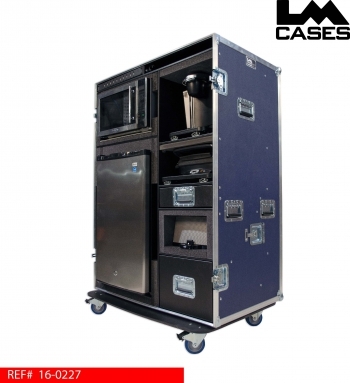 All interior components are built from marine grade plastic panels to ensure the case will pass through customs with ease! 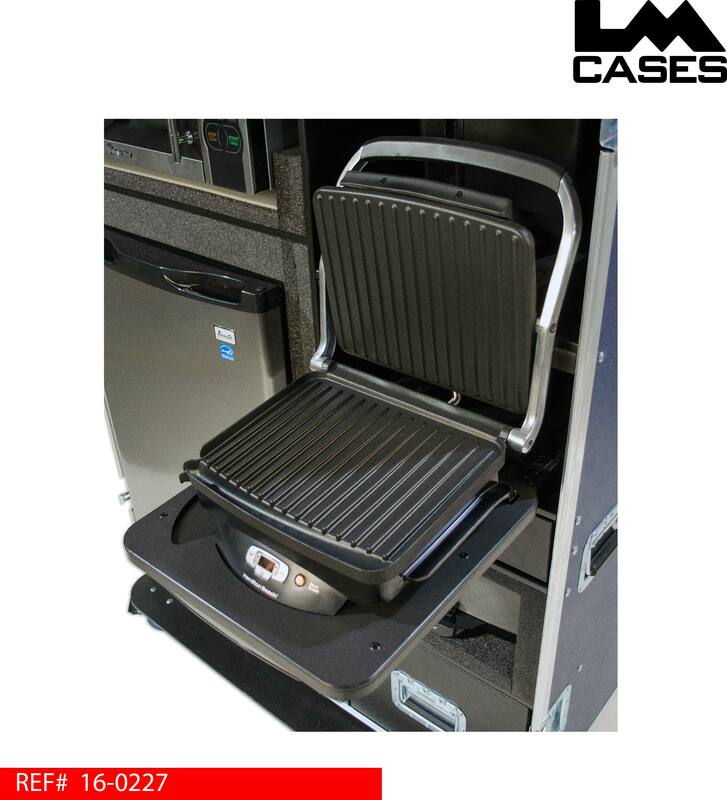 The case interior features standard kitchen components like a microwave and refrigerator shock mounted in foam compartments. 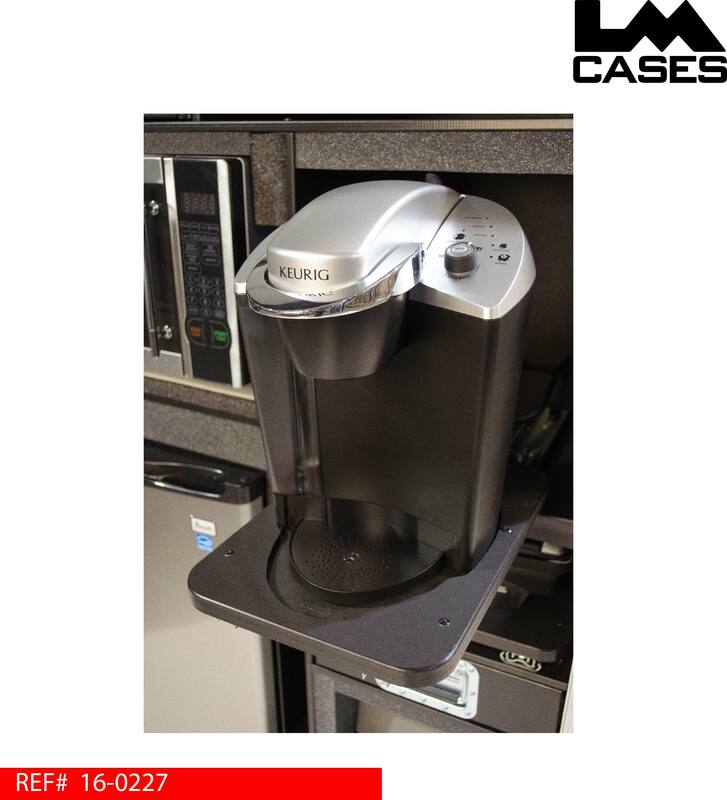 The case also features a Keurig beverage maker and an electric grill mounted on retractable shelves allowing them to be used outside of the case for maximum ventilation. 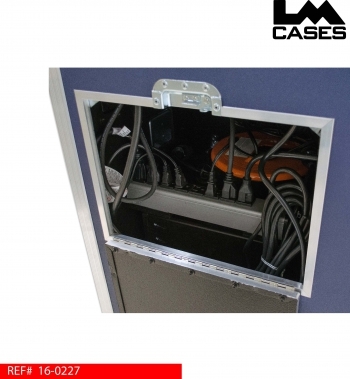 Also featured in the interior is a Bose Series III Sound Dock, and a 10 outlet 60w USB charging hub built by the LM Cases Custom Integration department. All of the appliances are wired to a central 20 amp power strip that is energized with a retractable 30' cable reel which eliminates the need to carry an extension cord. 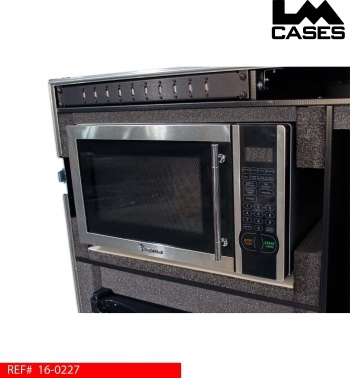 The case features fans and vents to keep the appliances cool and operating in normal temperature range. All the appliances and electrical componets were installed by the LM Cases Custom Integration Department. The case exterior is built out of 3/8" thick composite panels laminated with navy blue ABS plastic. 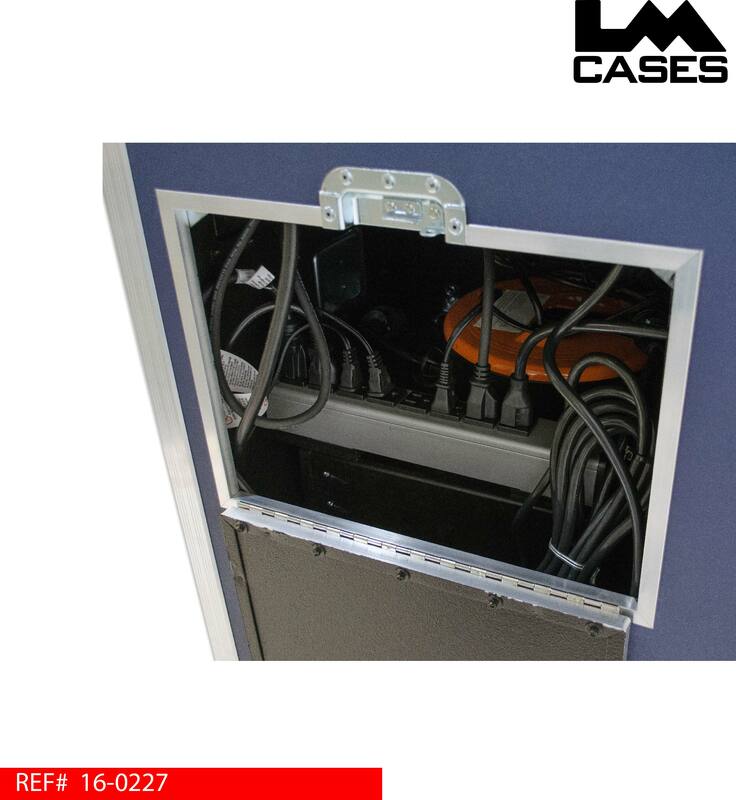 All interior dividers are built out of 1/2" marine grade plastic. 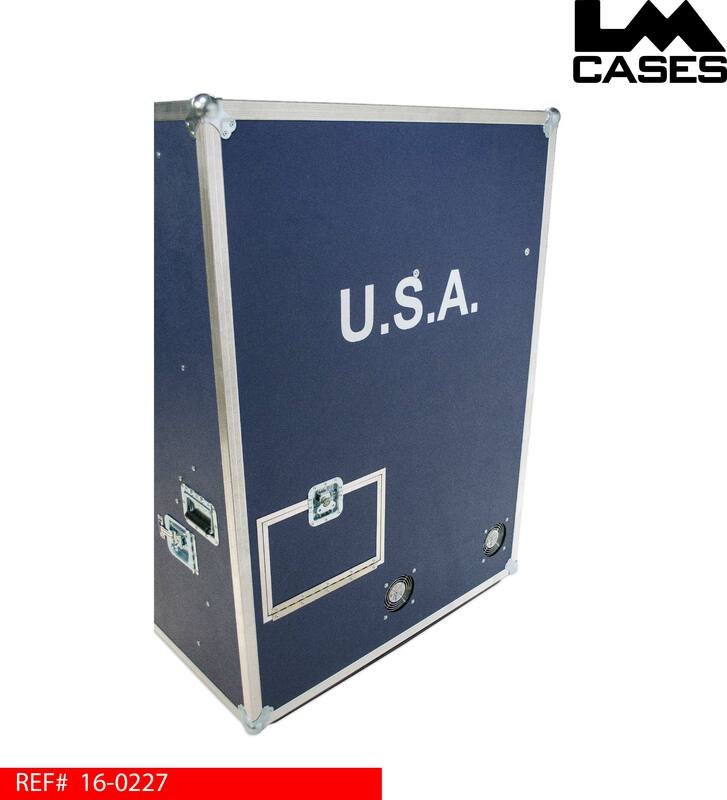 The case exterior features 4 pad-lockable hasp latches, 6 recessed handles, and a "USA" silkscreen. Special thanks to the US Equestrian Team! !